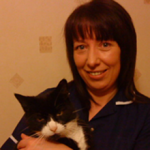 Pamela comes from a farming background and started working in Jubilee Veterinary Centre in 1987, assisting vets with T.B. testing, large animal calls and small animal duties. She is now the Accounts Manager, and is involved in the daily running of the large animal diary and delegates calls to the appropriate vets. Her free time is spent looking after her pets, and she is also a keen motorsports enthusiast and competitor. Pamela Lemon has been a member of the practice for many years with broad experience of different areas. 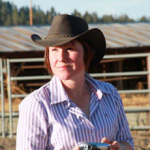 Pamela now is mostly involved in organising TB testing and the large animal call diary.